In invertebrates, a large body of evidence about the molecular mechanisms governing the visual cascade has been derived from the molecular genetic dissection of the components of the Drosophila photoreceptor machinery (1 – 5). As the best genetically characterized metazoan system, Drosophila provides an advantage in some respects over the mammalian system in that the genes can be both molecularly and genetically dissected facilitating the association of a particular gene product with its in vivo cellular function. Several of the Drosophila mutants identified with changes in the light evoked responses also lead to photoreceptor degeneration. 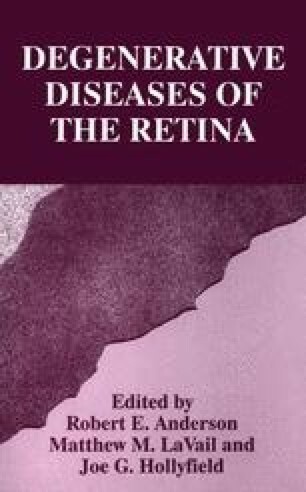 These are of particular interest, as retinal degeneration is a major cause of inherited blindness in humans. In addition, electrophysiological studies in Limulus photoreceptors cells have also provided us with an important insight into the physiology of the invertebrate visual cascade (6).